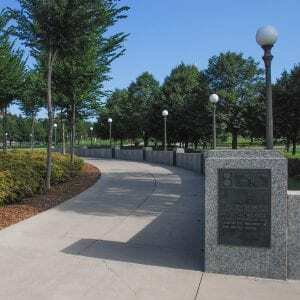 LS Black Constructors was hired to build a park, located in on the Minnesota State Capital campus, to honor and celebrate those who served in World War II. Work included a complete transformation of the space. Now serving as a picturesque landmar, work included both hard and soft landscape elements: sidewalks, plazas, landscape, lighting, and monument signage.